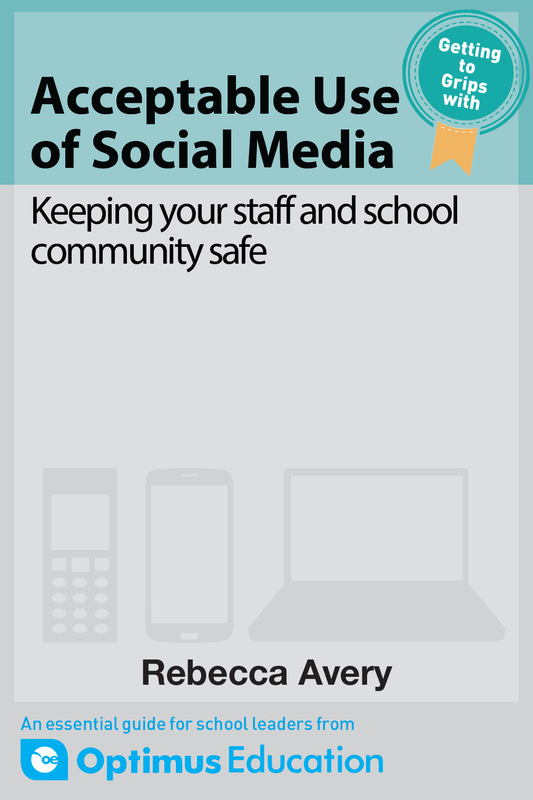 Acceptable Use of Social Media: Keeping your staff and school community safe is part of the Getting to Grips with... Series. Packed with resources and tools, in just under 50 pages this eBook will show you how to understand and minimise the risks presented by staff and community use of social media, and thereby ensure a healthly whole-school approach to online activity. take appropriate action if things go wrong. exemplar letters to share with staff and community if things go wrong. Section 1: What do we mean by social media and what are the issues? Understand what is meant by social media tools and think through the benefits and risks that they can bring to your school community. Section 2: Who is responsible? An overview of the different roles and responsibilities for social media use within the school community. An overview of what you should consider including in your social media and acceptable use policies and how they dovetail with other school policies. An overview of what elements should be included in staff training. recognise how to avoid some common pitfalls. An overview of what action to take in the event of an incident occurring. communicate effectively with parents and carers.